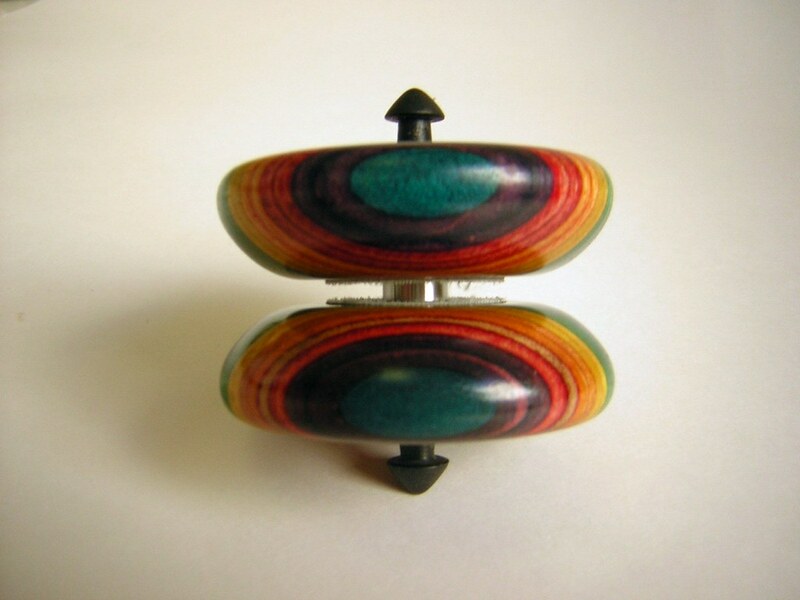 As early as 2000, I was working on designs for a yo-yo/top combo, but it wasn’t until 2004 that I was actually able to get one of my favorite designs made. I asked my friend, and expert top and yo-yo crafter, Alan Gray to make a yo-yo with a yo-yo with a whole for for a shaft to run through. This is the yo-yo he made. 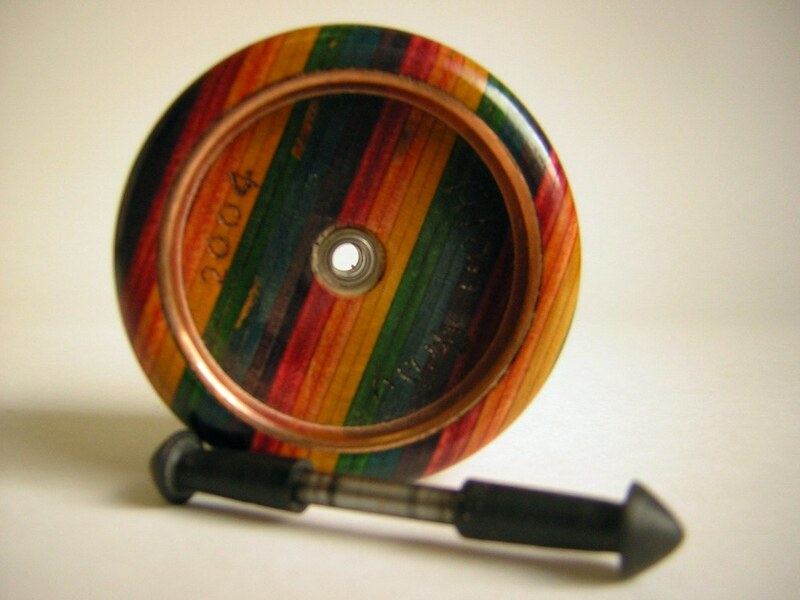 The yo-yo is built from a BC wooden yo-yo, with a ball bearing added. Through the hub of the yo-yo, Alan made a hole that runs through the axle. Through the hole, there is a shaft with elongated top tips. On either side of the hole, there are ball bearings that the shaft sits on. So, there is a ball bearing in the center of the yo-yo, and two bearings on either side of the hub for the top tips to sit on. 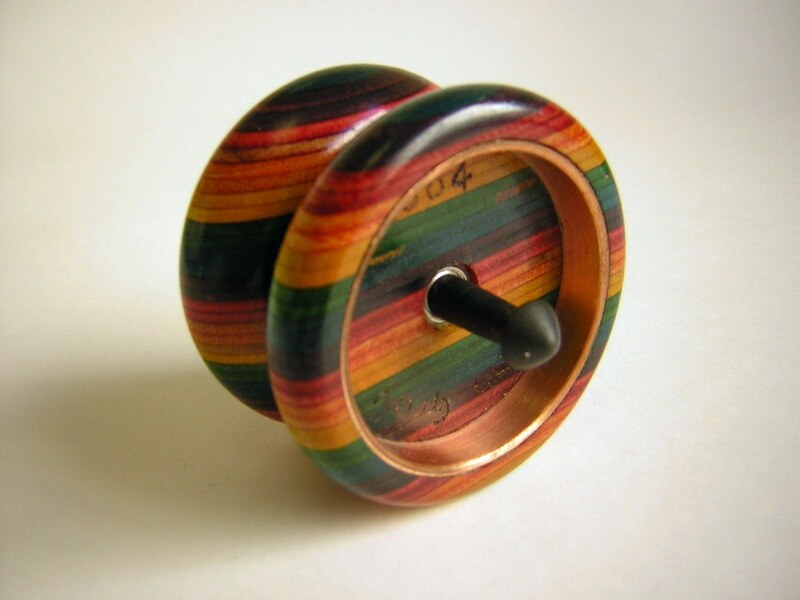 The yo-yo plays decent, it has a little wobble, but it’s not bad for a wooden yo-yo.